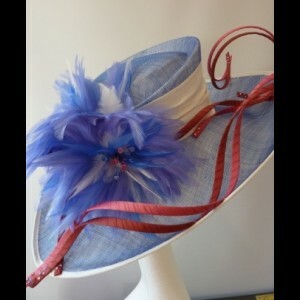 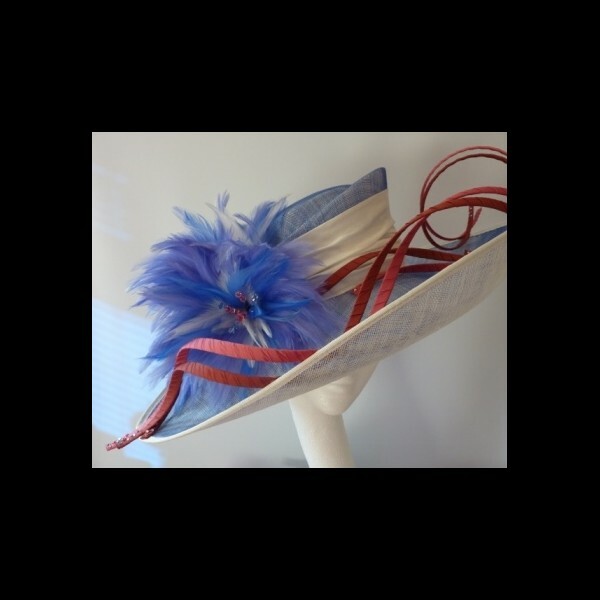 A two toned sinamay hat in Ivory and Royal. 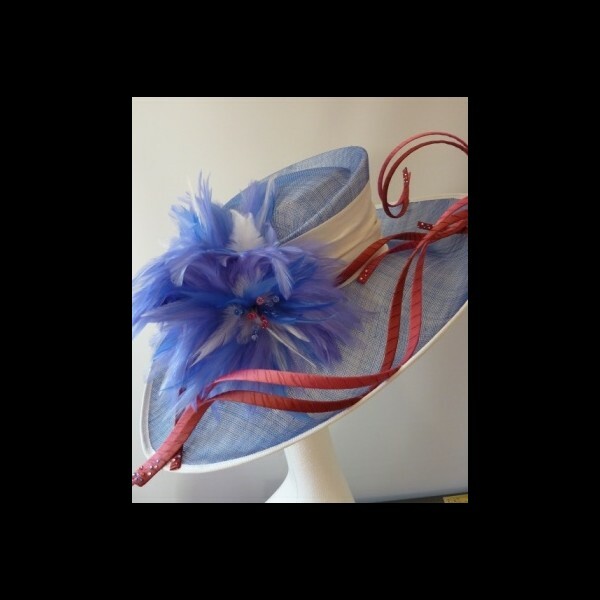 The hat has a cuffed crown and a wide east to west brim. 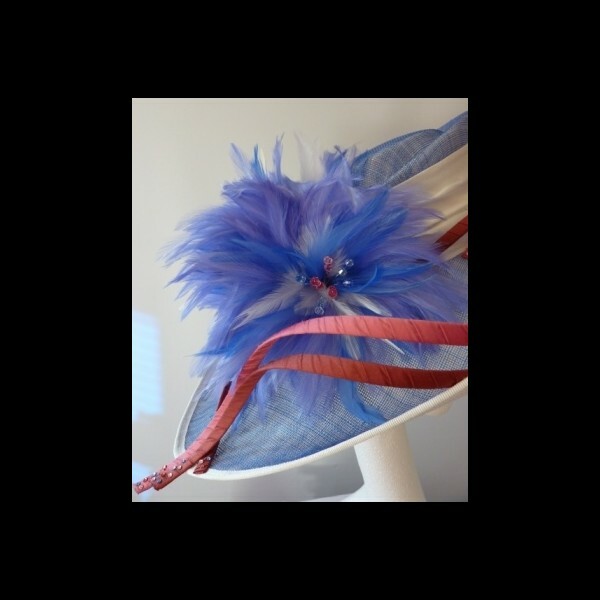 Trimmed with curling silk loops and feather flowers to one side.